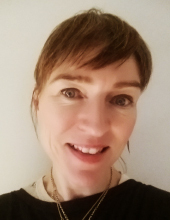 Suzanne is a family therapist, trained with the Clanwilliam Institute, having worked for the HSE in a family support service. Suzanne is skilled in working with individuals and families dealing with issues such as depression, panic and anxiety, relationship diﬃculties and conﬂict. Suzanne has a natural and professional approach to psychotherapy treatment and oﬀers a therapeutic environment in which clients can feel heard and respected. Systemic psychotherapy, or family therapy, is a means of intervention that attempts to understand and address clients’ pain and distress within the context in which it occurs i.e. the family or relationships. The approach seeks not to isolate an individual patient, but rather to take account of the family as a whole, in whatever form that family group might take. Clients are seen as being the experts in their own lives and the primary objective is to promote action towards change that will alleviate distress. Emotional, psychological and interpersonal problems are seen to arise within the context of how people experience their lives – how they make sense of reality and in their patterns of social engagement and interchange. The therapist and clients work collaboratively to seek to understand how these patterns arise and how they are maintained; they do this through discussion, reﬂection and exploration in session and between sessions. Family therapists work with individuals, couples, children and within the wider family context. Therapy focuses on a wide range of issues, allowing most diﬃculties to be explored, including family and relationship issues, anxiety, panic and depression. Therapy sessions last for one hour. The fee is 75 euro per session for individuals and 90 euro per session for couples*. Please contact Suzanne for more information about the service. * Reduced fee sessions available.